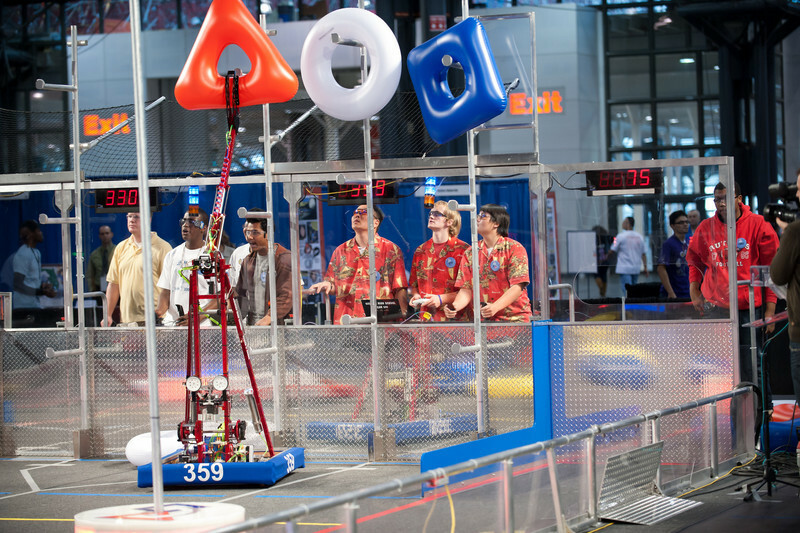 Photos taken during the FIRST Robotics Competition New York Regional, March 11-13, 2011 at the Jacob Javits Convention Center. These images are licensed free for personal use or for promotion of FIRST. In other words, you can make prints for yourself, print them in your school newspaper in articles about your team, give them to the local press to promote your team, put them on your website, etc. No commercial use is allowed (mostly since I don't have model releases for any of the images!). If you do use an image, a credit reading "Photo by Dave Wilson" and a hyperlink back to http://www.davewilsonphotography.com would be appreciated but is not necessary. I would, however, love to hear from anyone who finds any of these pictures helpful. If you want prints, the pricing here is set to cost so I make nothing on the sale. Also, I've set downloads at 1 cent which is the cheapest SmugMug will allow while still enabling the feature.